We appreciate the guidance and care of our Wisdom Council – including our Trustees and Patrons. Working in collaboration with our staff and Team, our Trustees develop strategy, provide governance and oversee staff support. 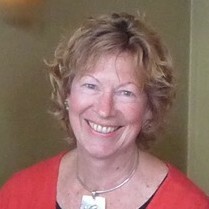 Revd Jan Adamson is the Mission and Development Officer for the United Reformed Church in Scotland and Orkneys. Prior to entering ordained ministry, Jan was a senior executive for a major company and has experience in a wide range of business disciplines. She has even owned a pub! 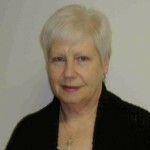 As well as being trustee for Place for Hope, Jan also serves as trustee for WorkPlace Chaplaincy Scotland. Nancy left California for the UK to study International Relations over 40 years ago. Special people, stunning places and various passions kept her here. She dabbled in university lecturing and research before heading north to Scotland to inhabit an old farmhouse where she raised her family alongside being financial/estate manager at a local school. Now in the ‘Autumn years’ her passions for children’s wellbeing and nurturing wholeness in the world find her involved in the Children’s Panel, Harmeny School, Capacitar, Coracle Trust and spiritual accompaniment (which often happens walking in the Botanics). James is a minister in the Church of Scotland. He first became interested in ways to transform conflict when he worked in Palestine and Israel helping tourists and others to meet Israelis and Palestinians living with conflict. He has worked in his local community and his congregation to facilitate change by bringing people together in a constructive dialogue, and runs Community of Philosophical Enquiry groups to enable people to develop a sense of community and shared thinking through transformational conflict. Trade: both free and fair. Pamela is one of Scotland’s most experienced commercial mediators. 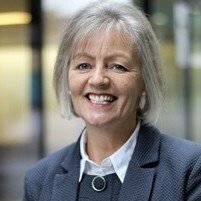 A full time mediator, coach and facilitator she has mediated in excess of 200 disputes relating to a broad spectrum of sectors and has extensive experience in the UK in leading training courses in mediation and negotiation. Previously, she was a partner in the litigation group of a large national law firm. She is involved in her church, Central (in Edinburgh): Jesus at the heart, as an elder. 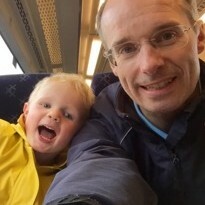 After a PhD on ‘Empathy, Symbolism and Metaphor’ in Isaiah, Stewart was called in 2003 to Portobello St. Philip’s Joppa, later united with two other churches to form Portobello and Joppa Parish Church. Place for Hope played a vital role in a smooth union, creating one of the largest Church of Scotland congregations in Edinburgh. As well as parish work, he facilitates monthly gatherings for the Ministry Training Network (a reflective space for ministry students) and chairs the Portobello Older People’s Project. How can I, and how can we as a church, live as ‘teachers of tenderness?’, a phrase once used by Jean Vanier describing those with whom he works at L'Arche. We deeply appreciate the support of two patrons. The Very Rev John Chalmers, previous Moderator of the Church of Scotland (2014-15) who was instrumental in helping to establish Place for Hope; and David Brubaker, a longstanding friend and enabler of this work. 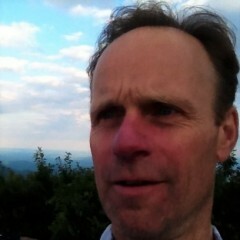 David is an Associate Professor at the Center for Justice and Peacebuilding (Eastern Mennonite University).